Click here for a satellite photo of the trails (466kb). 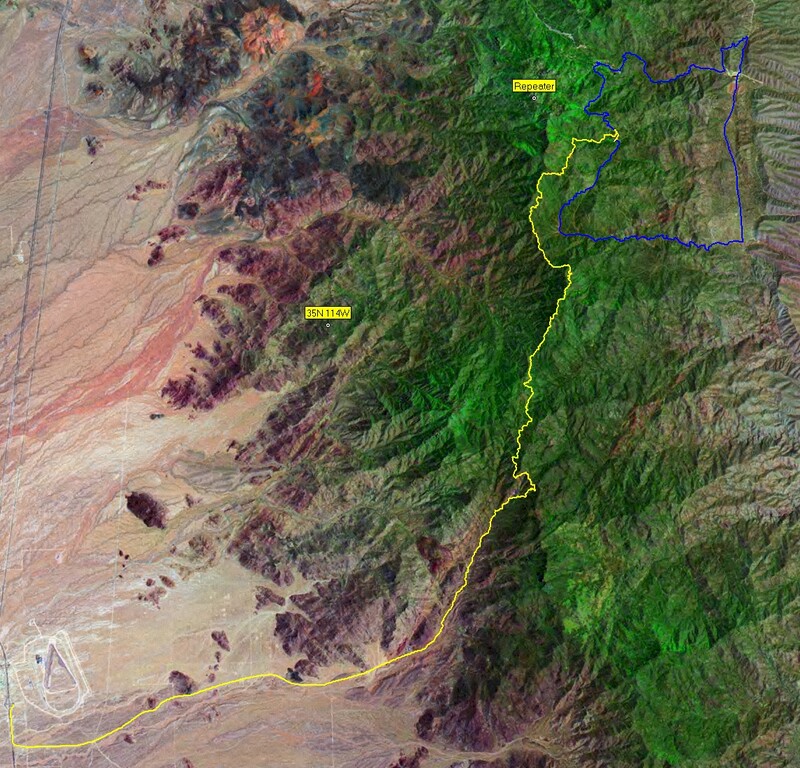 The yellow line is Day 1 (Boriana mine Rd.) The blue line is Day 2 (Wheeler wash, Blake Ranch Rd., Moss wash, Antelope Wash trail).